What a great experience blending the current with the past. Recently I attended an event put on by the Baldwin Economic Alliance, Baldwin Alabama. Which was brining the group gathered up to speed on a thousand acre, mega site that is prepped and ready to possibly house a new auto assembly plant. The setting was beautiful, at the elegant Barber Marina. 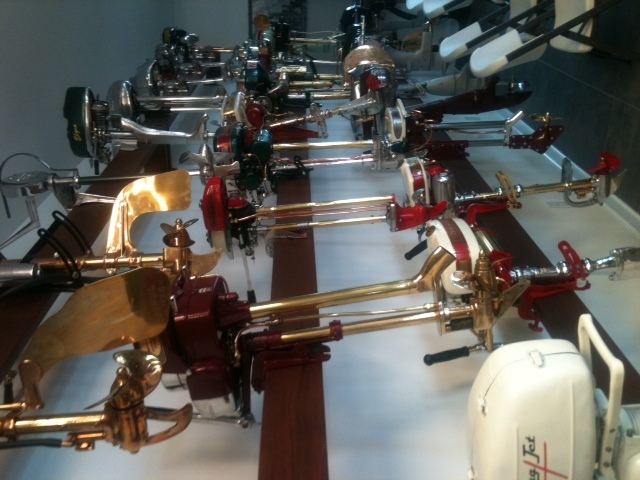 I was reminded of a past era by the spectacular collection of beautiful, fully restored outboard motors on display, most bearing the names of prominent American cities as their point of manufacturing origin. I could only imagine the process that was being used at the time. Was it Batch-and-push? Or were the companies trying to imitate Henry Ford’s single piece continuous flow auto assembly line? Ford’s system which was lowering cost, implementing standard work, and collapsing the time required in the supply chain?